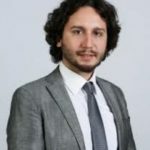 Dr. Gökay Özerim is a member of the International Relations Department and the Director of the European Union Research Center at Yaşar University, Izmir. His main study fields are international migration, security, youth and European integration process. He is graduated from the Department of International Relations at Dokuz Eylul University and he has his PhD. on European Studies. In 2004, Dr. Ozerim worked for a non-governmental immigrant organization in Ancona, Italy. He was awarded by the Chevening Scholarship of UK Government in 2010 and carried out his researches in the Centre of Migration, Politics and Society (COMPAS) at the University of Oxford as part of his PhD studies. In 2014, he has been at the Institute of European Studies in University of California, Berkeley as a visiting scholar. He has been also working in several European Union funded projects and delivering trainings on intercultural learning, youth participation, social responsibility and project management since 2006. In 2016, he was awarded a Jean Monnet Module by his course on security-migration nexus in the EU. Can the Youth Bulge Pose a Challenge for Turkey? A Comparative Analysis Based on MENA Region Driven Factors. YOUNG – Nordic Journal of Youth Research. (2018) 1103308818797792. (SSCI Journal). Opening or Sealing the Borders: Turkish Foreign Policy Conceptions and their Impact on Migration, Asylum and Visa Policies”. Journal of Balkan and Near Eastern Studies, 2018, 20.2: 165-182. (SSCI Journal). Converting International Migration into a Security Issue: Radical Right Parties in Europe and Securitization of Migration (in Turkish – Uluslararası Göçlerin Bir Güvenlik Konusuna Dönüşümü: Avrupa’da Radikal Sağ Partiler ve Göçün Güvenlikleştirilmesi). (with Mandacı, N.) Uluslararası İlişkiler Dergisi (International Relations Journal). V:10. No.39. pp..105-130.2013. (SSCI Journal). “The Politics of Social Ties: Immigrants in an Ethnic Homeland”, Europe-Asia Studies – Book Review (December, 2015), (SSCI Journal). “Security Belongings in South East Europe: Divergences and Convergences”. European Perspectives. Vol. 5 No. 2(9), pp 63 – 82, October 2013 (indexed in IBSS). “European Radical Right Parties as Actors in Securitization of Migration”. WASET International Journal, Vol:7, No:8, 2013, PISSN 2010-376X (indexed in International Science Index, EBSCO, ERA). Turkey on the Route of Retirement Migration: The Motivations of European Retirement Migrants to Prefer Turkey and Their Perception of Turkey- Emekli Göçleri Rotasında Türkiye: Avrupalı Emekli Göçmenlerin Türkiye’yi Seçme Nedenleri ve Türkiye Algıları”. Journal of Yaşar University. 2012. 28(7) 4766 – 4787. “The Role of Migration in the United Kingdom’s EU Referendum” in “Opportunities and Threats in European Integration and Turkey-EU-Relations after Brexit”, ed. By E. Esen & D. Şekeroğlu, Peter Lang Publishing, Berlin 2018. “Consequences of the “Refugee Crisis” for Turkey: A New Challenge in Turkish Foreign Policy and Domestics Politics? – Conseguenze della “crisi dei rifugiati” per la Turchia: nuove sfide in politica estera e interna? with E. Çetin in Valerio De Cesaris, Emidio Diodato (eds. ), Il confine mediterraneo. L’Europa di fronte agli sbarchi dei migranti, Carocci (2018). “Corporate Social Responsibility in the European Context”. (with Yıldız, A.) in Turker D. (Ed.). Contemporary Issues in Corporate Social Responsibility. Lexington Books. USA, 2014. ISBN number : 978-0-7391-8373-1. “Social Entrepreneurship in Turkey: Challenges and Opportunities” (with Turker, D. and Yıldız, A) .in Emprendeduria Social: Alternativa Sostenible Para Una Nueva Economia (ed. by Carmen Parra and Ferra Porta). Libreria Bosh. September 2014. ISBN number: 978-84-942385-9-8. “How to Search Funding for Projects and Points to Consider -Projeler için Fon Kaynağı Araştırma ve Fon Kaynağı Seçerken Dikkat Edilmesi Gerekenler”. in Toker, H. (Ed.). Proje Tasarımı, Yaşar University E-Book. 2013. “What Makes Turkey and Turkish Immigrants a Cultural Polarization Issue in Europe? : Evidences from the European Populist Politics” in “Hope and Nostalgia at the Intersection between Culture and Welfare”, Springer (Forthcoming-2019). “Populist Political Communication from the Perspective of Journalists”, Book Chapter, Routledge (Forthcoming-2019). “Social enterprises in a developing country context: Analysis of social entrepreneurship models in Turkey”, 2014. (with Türker, D., Yıldız, A International Conference on Entrepreneurship IEC 2014. Istanbul Aydın University [15-16.05.2014], Conference Proceeding, pp.117-129. Brexit: An Opportunity or Crisis in EU-Turkey Relations (in Turkish) – İktisat ve Toplum, February 2017. Why Youth Should be in the Center of Integration Policies for Refugees: The Case of Syrians’ Labour Market Integration in Turkey, Council of Europe, http://pjp-eu.coe.int/documents/1017981/9645125/Youth_Refugees_Turkey.pdf/d69da18c-d5b4-47c8-9399-bb511b44ad65 (will be also published in COE Knowledge Book in 2018).